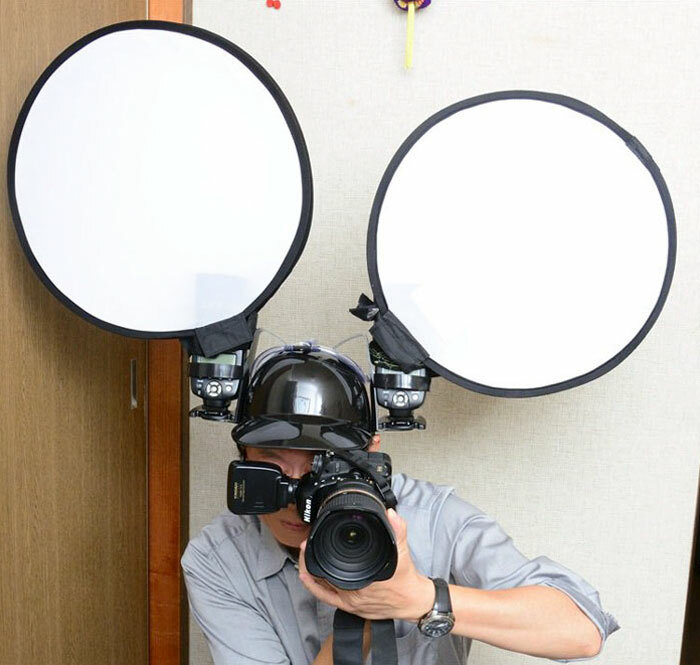 Beer helmets are nothing new, but have you ever seen it used as a photography tool? Well, now you have, thanks to Japanese photographer Nishihiro. How does it work? Instead of beverages, Nishihiro puts flashes into the holders, and then circular diffusers in front of those to create a soft light look. 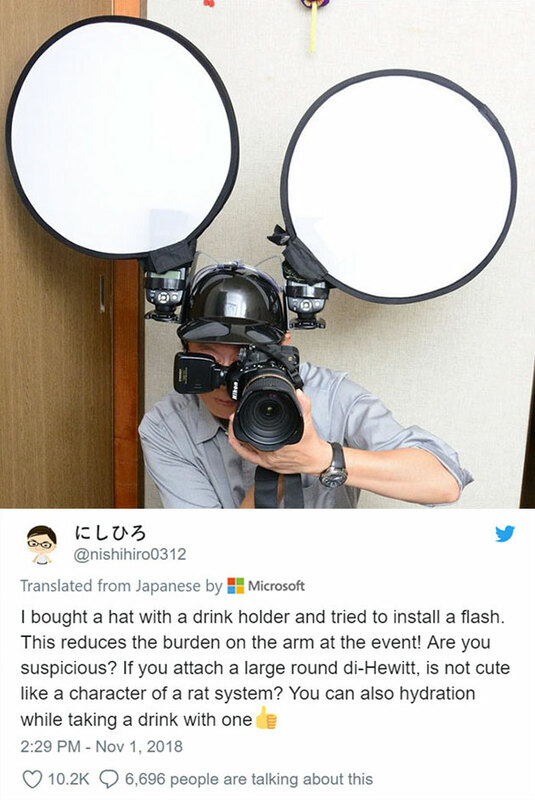 However, when both flashes aren’t required, he uses it for a drink instead. Get one here now. Continue reading for more pictures and reactions.